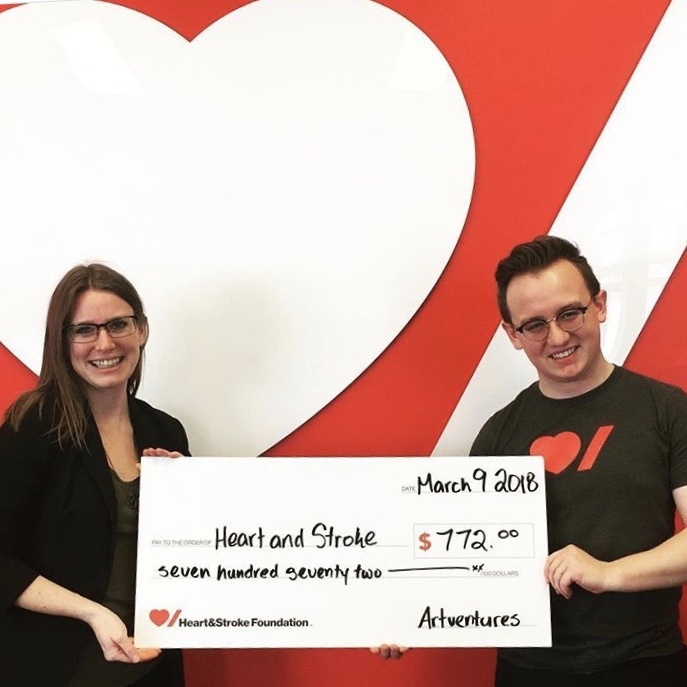 Developed in coordination with the Heart and Stroke Foundation of Canada, this program will teach your students about their heart, and provide them with an opportunity to experiment with relief printmaking techniques. ArtVentures proudly donates a portion of every Art with Heart program to HSFC. The most successful ArtVentures program relies on the help of adult volunteers. Please invite family or friends into the classroom to act as artist assistants. K- grade 2 classes require four to six adult helpers (one for every group) Grades 3-4 require three to four helpers in total Grades 5-6 require one to two helpers in total. Please note: we love to empower older students! If you are booking a program for K-2, please consider inviting grade 5 or 6 students into your classroom in place of adult volunteers. In the event that you need to cancel or reschedule your program, we require at least two weeks notice in writing to emma@artventures.ca. No fee will be charged provided this requirement is met. Less than two weeks notice for cancellation or rescheduling will result in a $50 fee. If less than 48 hours is provided for a cancelled or rescheduled program, the full program fee will be charged. Book an ArtVentures in-school field trip for as little as $12.60/student! The base cost of an ArtVentures in-school fieldtrip is $280 ($14/student for up to 20 students). We can facilitate classes of up to thirty (30) students, with an additional fee of $14/student. Qualify for a multi-class discount of 10% when two or more classes book the same program in the same room, lowering the cost from $14/student to $12.60/student! ArtVentures Programs typically run for 90 minutes. We offer programs in the morning (9:30AM-11:00AM) and in the afternoon (12:30PM-2:00PM). Please ensure we have direct access to your classroom at least thirty minutes before your program start time. Please note that school programs do not break for recess. Please adjust your snack and break routine accordingly.